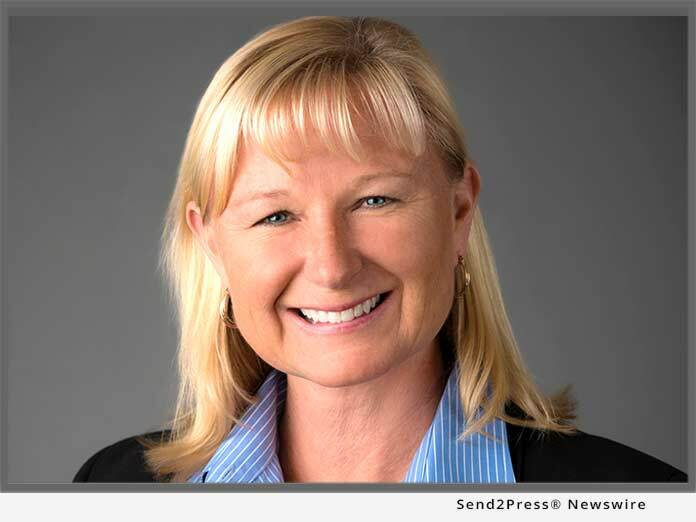 SAN DIEGO, Calif., Apr 16, 2018 (SEND2PRESS NEWSWIRE) -- ReverseVision, the leading provider of technology and training for the Home Equity Conversion Mortgage (HECM) industry, announced today that Vice President of Sales and Marketing Wendy Peel has been honored with the MBA Insights 2018 Tech All-Star Award. Peel accepted her award this morning during the opening session of the Mortgage Bankers Association's Technology Solutions Conference & Expo 2018 in Detroit. This is the seventeenth year the MBA has recognized outstanding leaders in mortgage technology with its Tech All-Star Award. Peel, who was also recently named a HousingWire Woman of Influence and one of Mortgage Professional America's Hot 100, was recognized not only for her contributions to ReverseVision's growth and success as a provider of HECM technology, but also for her profound impact on the mortgage industry as a whole as a driving force behind the "normalization" of HECM loans. "Long misunderstood and underappreciated, the HECM has finally come into its own as a loan product that enables lenders to optimally serve seniors' home-equity needs," said ReverseVision President and CEO John Button. "By emphasizing lender and borrower education, Wendy has changed hearts and minds when it comes to HECM lending, increasing adoption of ReverseVision technology and benefitting the mortgage industry at large." Under Peel's tenure, more than 2,500 lenders and brokers joined ReverseVision's RV Exchange (RVX) platform, which now serves all 10 of the top-10 HECM lenders and has more than 10,000 active users. In 2016, Peel launched ReverseVision's inaugural user conference, RV UserCon. The third annual RV UserCon, which took place this past February, was a sold-out event attended by more than 80 companies. "My job is bigger than simply leading the sales and marketing efforts of ReverseVision," said Peel. "I've made it a priority to right the reputation of the HECM and encourage mortgage lenders of every stripe to add HECMs to their product mix in order to serve the generational mortgage needs of the full spectrum of homeowners. I am honored to be recognized for this work among such a prestigious group of industry peers." A three-time HousingWire TECH10o(TM) company, ReverseVision has also been recognized in Deloitte's Technology Fast 500(TM) listing. ReverseVision's annual user conference, the only event of its kind in the industry, brings together more than 200 lenders, vendors and educators each year to advance HECM lending. The company continues to build on its technology's pioneering capabilities with frequent enhancements aimed at boosting users' HECM volume, workflow efficiency and data analysis capabilities. Advertising and Marketing, Awards and Honors, DepthPR, Mortgage, ReverseVision, Inc.